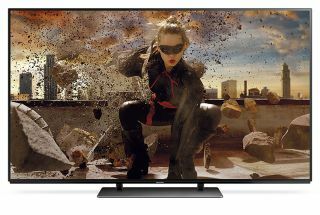 Panasonic EZ952 is firm's second 4K OLED TV, arrives in June | What Hi-Fi? Panasonic has announced its second OLED set, the EZ952, which is set to go on sale in June. This follows on from the EZ1002 flagship set, which made its debut at CES in January. Panasonic also announced a 77in model of the EZ1002 that will land in the autumn. Masahiro Shinada, director of Panasonic's TV business division, revealed to What Hi-Fi? that the price for the 55in EZ952 is likely to be around €2499 (or possibly even lower at €2000), while the 65in OLEDs are, unsurprisingly, going to be more expensive. This price point, he said, is projected to be the sweet spot for premium screens, and Panasonic hopes it will increase demand for even more OLED TVs in the coming years. The EZ952 features the same OLED screen technology as the EZ1002, promising "unprecedented" black levels and super-accurate colours. Like the EZ1002, it's powered by Panasonic's Studio Colour HXC2 processor, which aims to increase colour accuracy. Panasonic claims this processor uses technology previously available only on professional monitors. Also like the EZ1002, it supports HDR video. It supports HDR 10, the industry's minimum standard for an HDR screen, and Hybrid Log Gamma, which is a technology developed by the BBC and NHK Japan. The EZ952 also has Panasonic's HDR Brightness Enhancer feature, which aims to optimise the TV's picture in brightly lit rooms. So what's the difference between the EZ952 and the EZ1002? The latter features a Dynamic Blade Speaker system, which the EZ952 lacks. Instead, it has a pedestal stand that's "inspired by the latest principles of interior design". Naturally, it supports streaming services such as Amazon Prime Video, Netflix and YouTube, and comes with Panasonic's newly developed My Home Screen 2.0 interface. This includes a favourites folders for multiple users, a My App button on the remote that can be customised, and a revamped Media Player app. It also comes with a new version of Freeview Play. This includes new search/recommendation tools, Panasonic's Quick Look Guide that shows past, present and future shows for a particular channel, and live thumbnails that show what's being broadcast on other channels. The Panasonic EZ952 4K OLEDs will go on sale in June.